What Does it Really Take to Lose Weight by Running? Getting up to move is the first and most important step for anyone trying to lose weight. When you go for a run, you are quite literally doing just that! 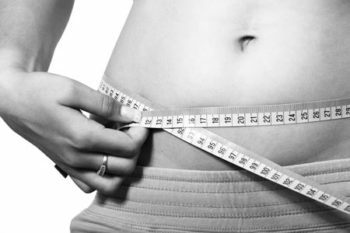 This makes it one of the most effective forms of exercise for weight loss. Why Pick Running for Weight Loss? Physical benefits aside, running is an exercise routine that is accessible to everyone. Young, old, short, tall, male, female…it doesn’t matter! Simply arm yourself with a good pair of shoes and you’re ready to go. First off, running is a free exercise. There’s no need to worry about paying for a gym membership, qualifying for a league, buying fancy equipment, or having gas money to get to a specific location. Next, you don’t need an instructor or a class to get in your workout. Choose to run outdoors with a group of friends, go for a solitary jog around town, or join a virtual class online with your treadmill’s advanced programming. Finally, running is an exercise that can be done in a variety of weather conditions. And, if hot summers and frigid winters aren’t your jam, then simply move your workout inside. Inexpensive treadmill models allow you to run from the comfort of your home without breaking the bank. Seeing your progress is a great way to stay motivated and feel positive on the days when it seems impossible. If you aren’t sure where to start, learn more about setting S.M.A.R.T goals and pick up some tips to stay headed toward your personal finish line. Starting a running routine is a huge step toward your weight loss goals, but you still need to be aware of what you’re eating…and how much. While running burns calories, you will need to burn more calories than you consume in order for weight loss to happen. Don’t overdo it with the “reward meals” after a few miles of running. Consult a doctor or physical trainer to find the optimum number of macro-nutrients (carbs, protein, and fat) that you should be eating each day to lose weight while running. Or, check out this online calculator. 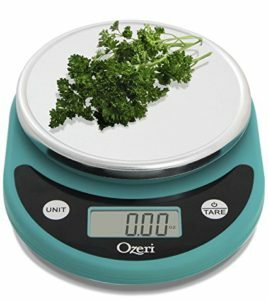 These tools will help you find the right balance of foods so that you can shed pounds without eating too little and stalling your metabolism. A good rule of thumb is that you burn approximately 100 calories per mile when you’re running. So if you run 3 miles, but then chow down on a 700 calorie cheeseburger, you’re not going to lose weight. The “runner’s high” is not just an urban myth. It’s real and it’s amazing! A study performed by The Journal of Experimental Biology shows that your brain produces endocannabinoids when you run. These eCBs produce feelings of pleasure and make you want to run habitually. That is why it can be tough to start a running routine, but once you’re hooked…you’re hooked for good! While that runner’s high is great, you actually have to get moving in order to find it…and some days it’s really hard. If you’re a person that uses a treadmill, you have motivational material at your fingertips. 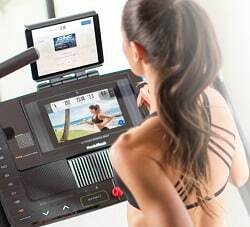 NordicTrack and ProForm models offer iFit Coach, which puts a virtual trainer on the screen right in front of you. It also provides running routes all over the world, so you can get a change of scenery whenever you feel like it. You can use the RunSocial program on BowFlex models to make every run an event you want to attend. Meet up with friends to go on a virtual run in places like Australia and Cambodia. That’s a run you won’t want to miss! Fitness tracking apps like ViaFit and the Sole Fitness App actually sync with your treadmill to make your progress easy to see and track. This is perfect for making sure you’re working toward your goals. As you feel more confident you can even think about entering a race. Nothing like some friendly competition to keep you motivated! Plus, you’ll feel an awesome sense of accomplishment for finishing something you put your mind to. When you’re running, it’s important to utilize weight training and cross training to strengthen your muscles. Stronger muscles will support your joints, and protect you from injury and the wear and tear of running. Here are some simple exercise you can do at home to work your whole body. As you start running more and walking less, you’ll see a boost in your weight loss. A Medicine & Science in Sports & Exercise study showed that runner’s lost more weight when compared to walkers for the same amount of time. Plus, those intervals will produce what is known as the “after burn effect”! This is when your body continues to burn calories at a higher rate even after you stop exercising. Working out in the morning before breakfast, also known as “fasted cardio” may be another useful tool to help shed the pounds. As you can see, if you are looking to lose some weight, and become your fittest self while you do it, there’s no better option than running. Stick to your plan, believe in yourself and remember these tips. You’ll exceed your expectations in no time flat!